Respect & admiration or fear & loathing? Mention ‘China’ and you will encounter widely different views and emotions. Not coincidentally, both the EU and the Netherlands are discussing a China strategy these days. China’s rise makes it imperative to form an opinion on the country and how to deal with its increasing economic and political influence. What strikes me in the current discussion, is that China did not really seem to exist before. Like it popped up in our consciousness out of nowhere. Our familiar world, the western liberal world order, is suddenly challenged by this rising power in the east. The surprise surely is a result of our very Eurocentric world view, taught in our history books and prevalent in western media. A perfect illustration of the fact that China was always there (as was that other large Asian nation, India), is an animated bar chart on the most populous cities in the world, compiled by the Financial Times. I couldn’t stop looking at it. 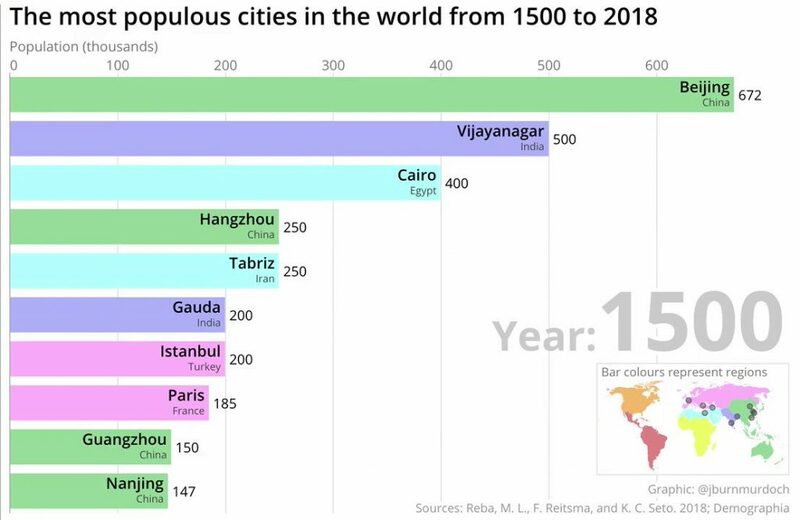 It makes perfectly clear that Asian cities were the largest in the world for centuries. We just seem to have forgotten or repressed it. For us, Western dominance is the norm, and that’s also what we teach our children in school. Now take three minutes to watch this brilliant FT bar chart animation, starting in 1500 AD. 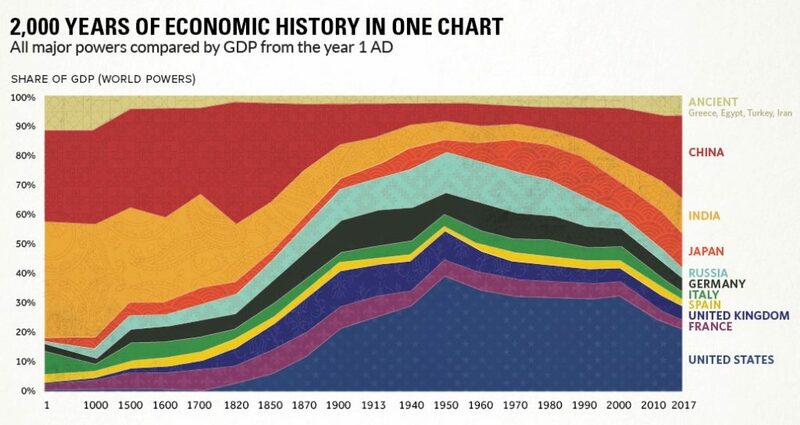 As both graphs show, western dominance is not at all natural if we take a long historical view. Our vision somehow has become blurred by our Eurocentric bias – unconscious, of course – but a bias that blinds us nevertheless. We’ve adopted narratives of Portuguese, Spanish, Dutch and British conquerors across all seas, of popular uprisings inevitably leading to democracy, of a world where western values would prevail. And that’s what we teach our children in school. But the world changes all the time. Over a century ago, voting for women was considered unacceptable and irresponsible by many. Now it’s difficult to imagine why the fight for electoral rights took so long. And just like the concepts of ‘male privilege’ or ‘white privilege’ prove difficult to accept for the privileged, those who profit from western dominance seem unaware of alternative world views and narratives – a phenomenon I propose to call ‘western privilege’. The EU uses the term ‘systemic rival’ to describe China, adding fuel to the ‘yellow danger’ narrative. Now, as an old Dutch saying goes, fear is a bad advisor. Of course, we should maintain a critical stance, but let’s not give in to cynicism. We should not be naïve when dealing with any rising power, but it would be more productive to offer an inspiring alternative: not the current bureaucratic EU vision, but an inspirational narrative based on values. Not because we’ve come to consider those values as ‘normal’, but because these values are so important that we want to fight for them. And if Europe can get its act together, it’s much easier to show backbone when dealing with Xi Jinping’s assertive China, spreading our ideas and convictions, instead of fearing the loss of market access and China’s intrusion into Europe. Chinese are known as tough negotiators. They don’t expect us to be nice, in my experience they even appreciate a principled stand. Of course we should tackle the existing asymmetry in EU-Chinese relations by demanding a level playing field in economic relations and other areas. The Chinese make use of our open media system, for example, while it’s getter more difficult than ever for international correspondents to get access to China. Xi Jinping clearly likes to control the narrative, but we don’t have to accept that. Back to the question I started out with: respect & admiration or fear & loathing when dealing with China? The answer is, not either-or, but a bit of both. Let’s respect what China has achieved since opening up in 1979 and let’s be critical, but not cynical. And most important of all, let’s be curious about that fast-changing and challenging country. We have to be more critical, China is challenging the world order with human rights and democracy, at the same time defending and promoting mass intention of Muslims in Xinjiang, locking up human rights lawyers and indoctrinating. a whole population. Let’s discuss when you are back in Guangzhou! I think the problem is far more complex then what is described above. It’s not simply a matter of strong Vs weak, or trust Vs cynicism. 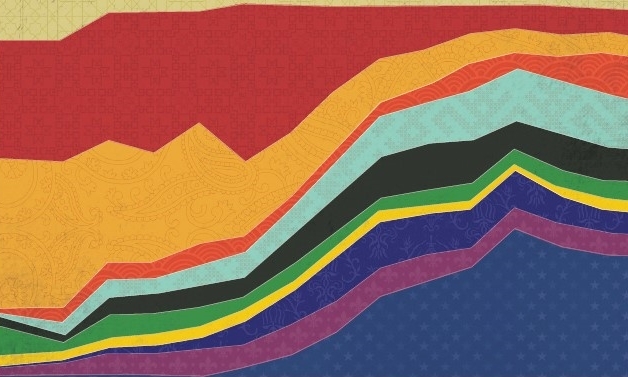 There is also a reason why China has not received much attention until recently, mainly because there wasn’t and never has been any interest from the Chinese in anything outside of China.